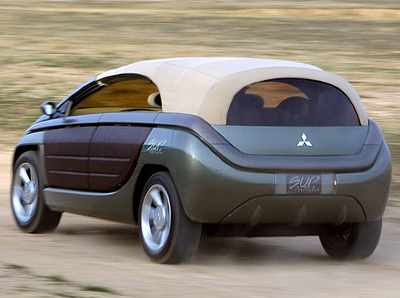 The SUP concept which Mitsubishi took the wraps off at the 2001 Frankfurt Motor Show was one of those concepts which suffered from a severe identity crisis. 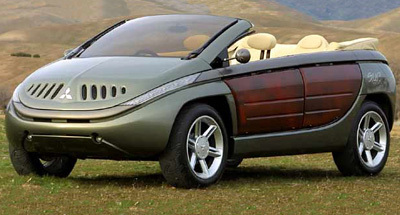 It was a convertible MPV with quirky and incoherent styling and a hybrid drivetrain. Under normal conditions it was just the front wheels which were driven, powered by a 2.0 litre, four-cylinder with stop/start technology. However when wheel slip was detected electric motors would kick in to drive the rear wheels and provide extra traction. 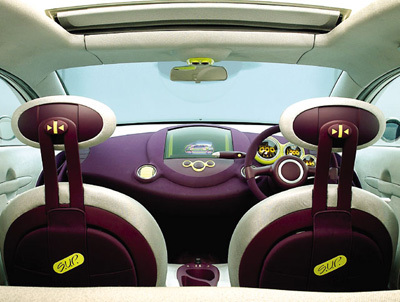 Some of the more bizarre features of the Mitsubishi SUP were a shower, yes a shower, hidden behind a panel above the left rear wheel, and removable storage compartments incorporated into the door panels. 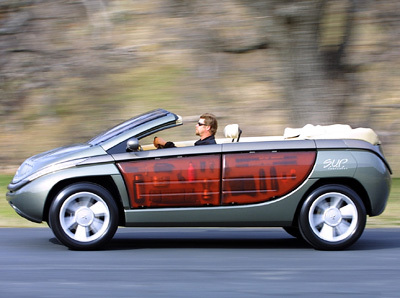 As a unique vehicle which got people to raise their eyebrows in surprise the SUP worked. 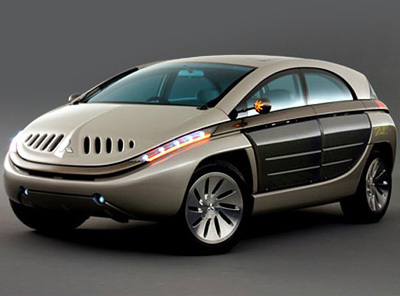 As a feasible production vehicle it failed miserably.